Hayyllooo everyone! 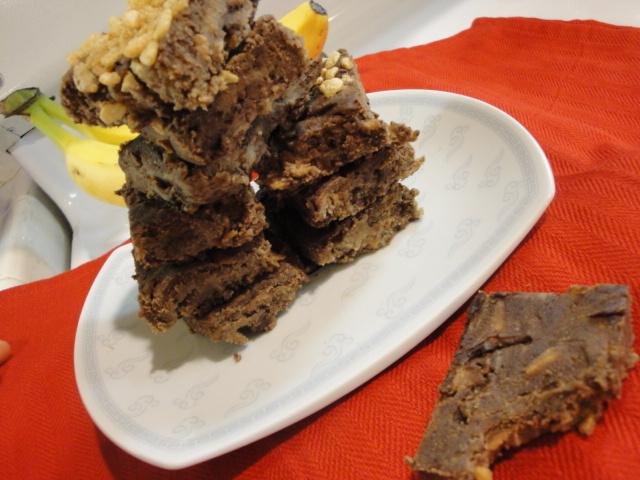 :P This is the raw recipe that I mentioned the other day. It contains an awesome and new-to me ingredient: it's the amazingly delicious COCONUT FLOUR!! First, finely process all the black beans. After wards, add the almond milk. 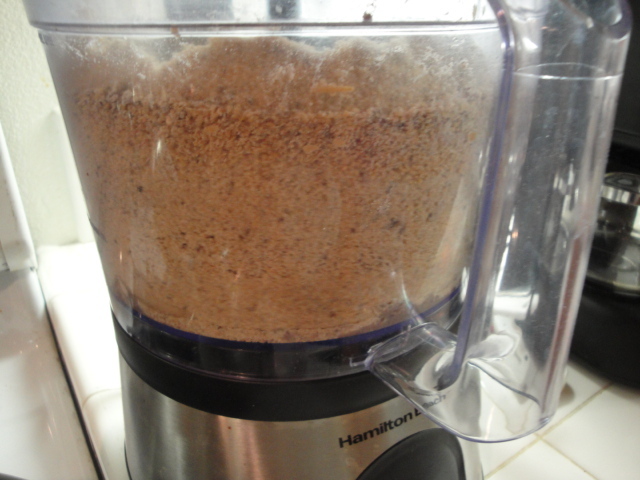 Add the brown rice syrup and the maple syrup into the processor. 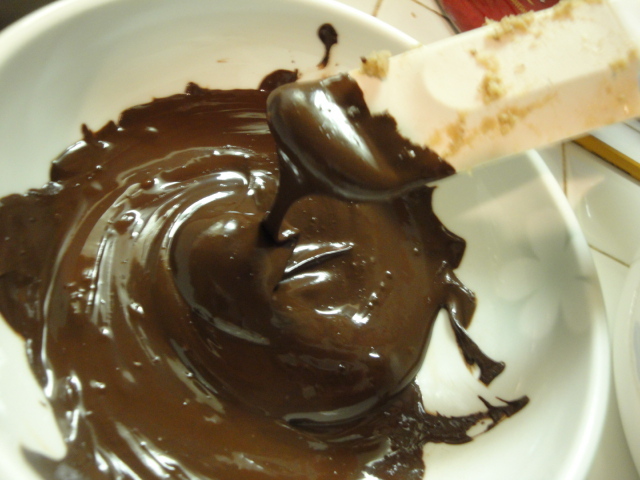 Melt some dark chocolate chips in the microwave in increments of 30 seconds, until completely melted. Lastly, fold in the brown rice crisps and the chocolate. Spread the mixture into a 9x9 inch brownie pan and refrigerate for at least 1 hour, or freeze it for 15 minutes like I did because I didn't want to wait! Hehe. 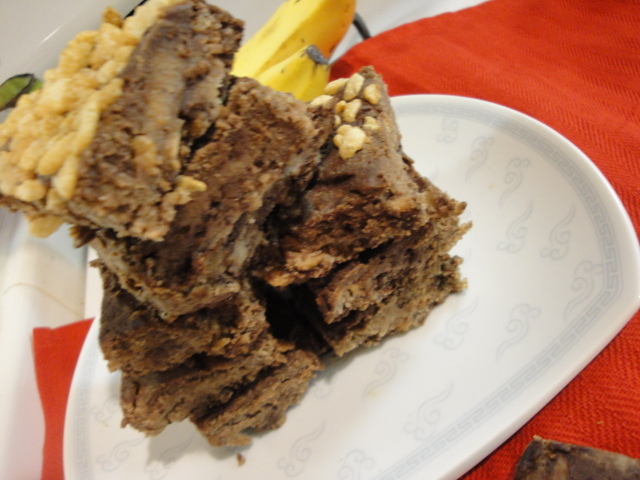 And voila, you'll end up with raw, kind of 'fudgey' bars. The brown rice crisps are not that noticeable taste-wise, but I believe they add a certain textural element to the bars. Instead of doing little steps like I did, you can probably process everything at once! :) I think? Maybe just drizzling the chocolate on top may create a prettier and crunchy chocolate effect! These are good either post workout, as a dessert, or breakfast, or dinner, or....yeahh haha! This is random! Have you tried Genesis Bread?! It's like, Ezekiel Bread's cousin or something. I know that my dad hated it, but I personally like the nutty taste to it. Hate is such a strong word don't you think? And I've been eating some delicious oatmeal concoctions, as well as Ashley's buckwheat bakes! 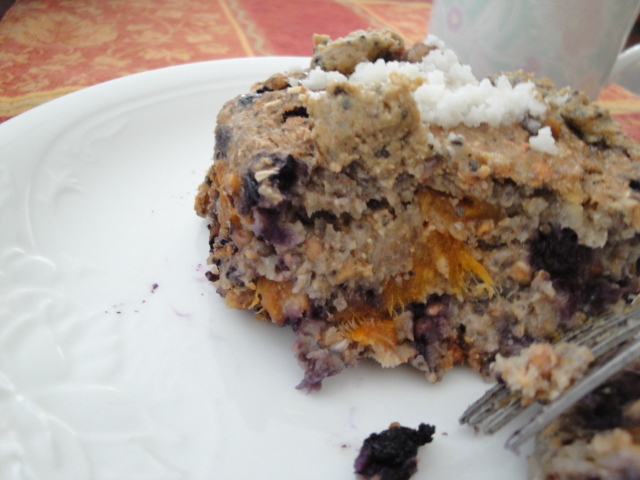 And the famous buckwheat bake with a tropical twist. I used TJ's unsulphured dried mangoes! I apologize for the information overload y'all!! But this is the most important thing! Daniel is now taking his first STEPS!!!!!!!! yayyyy!! I just tried uploading the video, but there was an error. My Question to you: Have you tried coconut flour? What's your fave recipe with coconut flour? Have a beautiful and blessed day! :D Don't forget to love on others and smile. You never know whose life you will change!